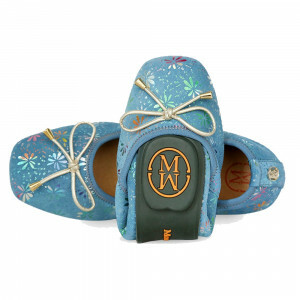 Bright yellow with a pastel green trim and a hand-painted silver flower print. A favourite in the summer collection. Pair with skinny jeans or a summer skirt. 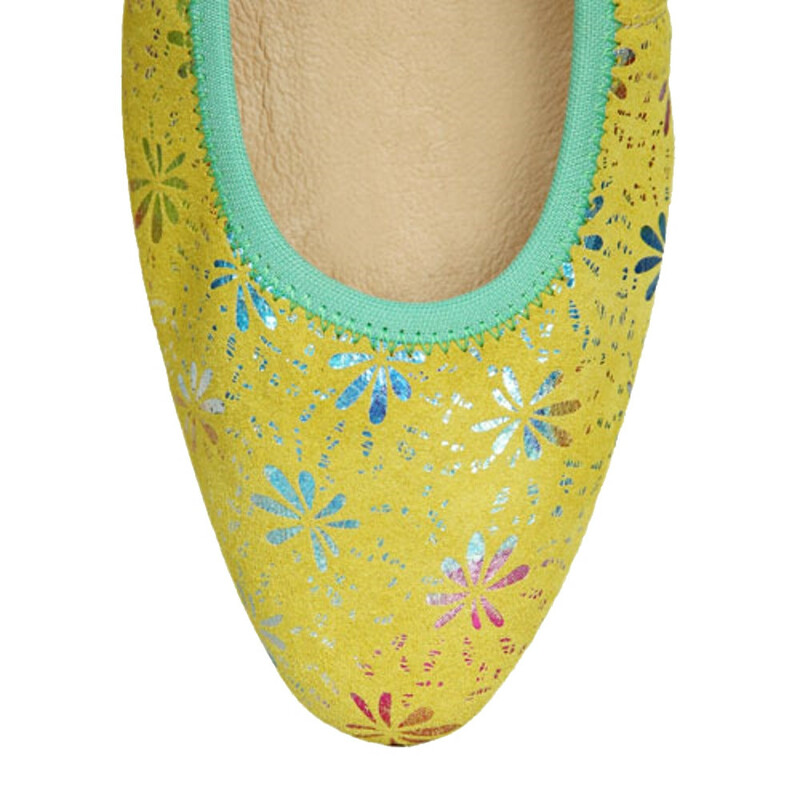 These Flosa yellow pointed toe pumps boast soft sports insole for impact protection. Low heel to provide support. Inner lining in fine sheep skin leather for a comfortable touch.ﾠA natural foldable outsole which is coloured and scented to provide a clean experience at all times.